One of the South African brothers facing indictment in the US over the sale of illegal rhino hunts was previously fined for illegally importing a leopard carcass to that country. According to a statement on the United States justice department's website, Dawie Groenewald was fined US30,000 (around R220,050 at the time) in April 2010 for his role in the crime. He served eight days in jail and nearly two and a half months of house arrest for contravening the US's Lacey Act, which prohibits the import of wildlife products that are illegal under the laws of the country of origin. On Thursday, the US justice department said in a statement that Groenewald and his brother Janneman had been charged with conspiracy to sell rhino hunting expeditions in South Africa to defraud US hunters. 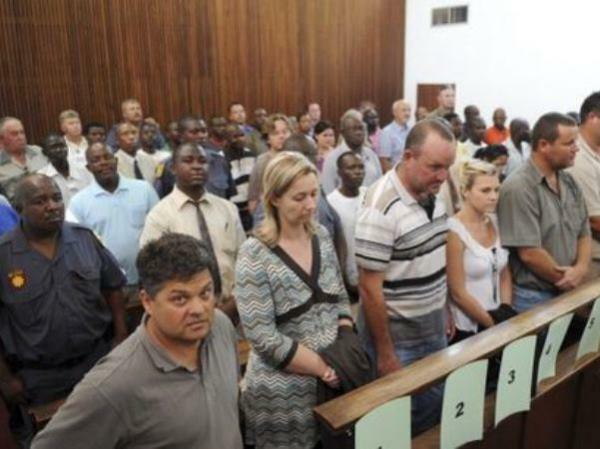 In September 2010, Dawie Groenewald was reportedly granted R1 million bail, and his wife Sariette R100,000 bail, by the Musina Magistrate's Court in Limpopo for the South African rhino poaching case against them and nine others. According to the US justice department, the brothers also faced US charges of money laundering and rhino horn trafficking. "The indictment charges [the brothers] and their company Valinor Trading CC (d/b/a Out of Africa Adventurous Safaris) with conspiracy, Lacey Act violations, mail fraud, money laundering and structuring bank deposits to avoid reporting requirements." According to the indictment, the Groenewald's allegedly recruited hunters at US conventions and gun shows between 2005 and 2010. At the time, Janneman Groenewald lived in Alabama in the US. The hunters were misled that the rhino to be killed needed to be culled for the good of the herd because they were "problem rhino". Hunters were also told that the rhino horns could not kept by the hunters for legal reasons, and the brothers allegedly sold the horns on the black market. "Eleven illegal hunts are detailed in the papers filed in federal court, including one in which the rhino had to be shot and killed after being repeatedly wounded by a bow, and another in which Dawie Groenewald used a chainsaw to remove the horn from a sedated rhino that had been hunted with a tranquiliser gun." US Attorney for the Middle District of Alabama, George Beck Jr, said in the statement that in addition to breaking South African laws, the Groenewalds allegedly laundered the funds raised through Alabama banks. "These defendants tricked, lied and defrauded American citizens in order to profit from these illegal rhinoceros hunts," he claimed. "We will not allow United States citizens to be used as a tool to destroy a species that is virtually harmless to people or other animals." National police spokesman Lt-Gen Solomon Makgale could not immediately be reached for comment, while the Hawks' Captain Paul Ramaloko referred questions to the department of environmental affairs. Department spokesman Albi Modise said he would provide details later on Friday. I'm a 37 year old man looking to meet women between the ages of 18 and 40. I'm a 38 year old woman looking to meet men between the ages of 37 and 45.